The nature of literacy learning requires that students be given many opportunities to practice and develop their speaking, writing, reading, and listening skills over the course of their elementary school years. Standards must be revisited regularly. This is accomplished by immersing students in a wide variety of text types at increasingly more complex levels. Student also need many opportunities to write and speak for a variety of audiences and purposes. Kindergarten is focused on developing the beginning, foundational skills of literacy. This includes learning the alphabet sounds and letters and how they relate to reading and writing. Students begin to practice their listening and speaking skills and are introduced to books that tell stories and books that provide information. Students will begin to learn how to read and comprehend simple texts over the course of the year. First graders extend their knowledge of literacy and begin to write more independently. By the end of first grade, students are expected to have the ability to decode and recognize grade-appropriate words accurately and automatically when they read. As vocabulary and communication skills continue to increase (through exposure to a variety of high-quality literature and informational text), student writing is expected to reflect this increase. During second grade, reading begins to focus more heavily on strategies for comprehending literature at a deeper level and analyzing informational text. Students are expected to become more fluent when reading aloud and silently. Students begin using reference materials to locate information and expand their knowledge. Written compositions are longer, and students are expected to begin using more conventional grammar, punctuation, and organization. Vocabulary continues to develop, and students learn that words can have different parts that have an impact on the meaning of a word, such as in words with prefixes, and compound words. Third grade is the year that students move away from learning the foundational reading skills and begin to more heavily use reading as a tool to gain new knowledge. There is more attention placed on analyzing what they read and on being able to convey a clear message in their writing. Third graders are expected to read and respond to grade-appropriate texts independently. Students in fourth grade read a wide variety of literature in different genres. They study the structural elements of poems, prose, and plays in detail and learn to summarize text in a concise manner. As they analyze informational text, students consider how the author uses evidence to support points in the text. There is more focus on academic language and domain-specific vocabulary, which supports reading and listening comprehension, writing, and speaking. In their writing, students learn to create a variety of organizational structures and write longer, informational, and narrative texts. They also learn to use technology to support their literacy learning. Fifth-grade students read a wide range of materials on grade-level topics in all subject areas. The emphasis in fifth grade is on students’ comprehension of complex texts. As their text-analysis skills deepen, students are able to determine the main themes or points of text, understand how the author’s evidence and reasons support the theme or argument of the text, and draw inferences or conclusions supported by details from the text. They learn academic language and domain-specific vocabulary through their reading and use it in their writing and speaking. In their writing, students learn to group related information logically; use words, phrases, and clauses to link opinions to reasons and to connect ideas to related ideas; and use narrative techniques, such as dialogue, description, and pacing, to develop the story line or characters. Students in the sixth grade engage with the Kentucky Academic Standards for English/Language Arts through a series of “Big Idea” questions that lead to a deeper understanding of their role as a middle school learner. They engage with rich literary and informational texts and use writing to learn, writing to demonstrate learning, and writing for publication to explain how authors develop ideas in literature and to evaluate how they support claims in argumentative texts. Students in the sixth grade learn the importance of using evidence from reading to make inferences and to support their thinking. They demonstrate this in classroom discussions and through written responses. Students build on the writing skills learned in previous years, such as the ability to plan, revise, and edit during the writing process. They use these skills and the essential rules of standard English in the production of narrative, argument, and informational/explanatory writing. Students learn to work together, express and listen carefully to ideas, and integrate information from a variety of sources. Cycle 1: What is my role in the middle school learning community? Cycle 2: How do I use research to make decisions? Cycle 3: How do I analyze arguments? Cycle 4: How do I put it all together to show what I know? Students in the seventh grade engage with the Kentucky Academic Standards for English/ Language Arts through “Big Idea” questions that prompt self-discovery. They read a variety of complex literary and informational texts independently and through shared experiences in order to develop skills that will help them grow as independent readers and writers. Seventh-grade students use a variety of strategies to understand how authors approach a topic and analyze how the interaction of individuals, ideas, and events can affect and shape the reader’s thinking. Students read various texts that present differing perspectives on a topic to understand how one author’s position on a subject is different from others. They evaluate arguments by assessing whether an author’s reasoning is sound and the evidence is relevant to support their claim. Students use textual evidence to support their thinking and to develop their own arguments and apply conventions of standard English in all written work, including writing to learn, writing to demonstrate learning, and writing for publication. Cycle 1: What is my role as a reader and writer in the seventh grade? Cycle 2: How do I use what I learn to make decisions? Cycle 3: How do I make evidence-based claims? Cycle 4: Why should I compare and contrast different texts? Students in the eighth grade engage with the Kentucky Academic Standards for English/Language Arts through “Big Idea” questions that focus on the skills they need to be prepared for high school. They engage in deep analysis of literary and informational text, noting how word choice, point of view, and structure are used to convey key concepts and ideas, and they compare and contrast texts and video or audio versions on the same topic to see how the form of presentation affects the author’s message. Students in the eighth grade continue to explore and develop ideas for narrative and informational/explanatory writing and use relevant evidence from credible sources to support claims in arguments. They use technology to produce, publish, and present ideas as well as to participate in collaborative discussion and debate on topics relevant to the topic. When appropriate, students blend elements of writing modes to enhance writing style and apply the conventions of standard English in all writing. To be college- and career-ready by the end of the eighth grade, students read independently and proficiently at the high end of the grade 6-8 text complexity band. Cycle 1: Where do I go from here? Cycle 2: How do I address the needs of my audience? Cycle 3: How do writers use creative choice in presenting ideas? Cycle 4: How will I demonstrate what I have learned? Ninth Grade: Essential Question—Who Am I? Students come from middle school with various experiences, levels of maturity, and levels of learning. One thing they all have in common, though, is that they are all new to the high school experience. This year, the overall Essential Question for ninth grade is, “Who am I?” As Jim Burke states in What’s the Big Idea? Question-Driven Units to Motivate Reading, Writing, and Thinking, “Instruction organized around ‘essential questions’ allows students to better understand the big ideas in a course; that is, the ideas they would explore and grapple with through discussions, written responses, and on-going investigations and research—all of which might culminate in a paper, a presentation or some other appropriate project or artifact.” As students work through this year, they will work toward a better understanding of who they are by analyzing a variety of texts (literary, informational, art, music, and media) as well as engage in writing, discussion, and project-based learning, which may include service-learning opportunities. The goal is to help students better understand themselves and their place in the world and to become better citizens of their school. Unit 1: What factors shape our public and private identities? Unit 2: How do adversity and relationships shape identity? Unit 3: How do my ideas about others shape the choices I make? Unit 4: How do the journeys I take in life influence my identity? Tenth Grade: Essential Question—Where Have I Been? During their ninth-grade year, students explored the essential question "Who Am I?" In tenth grade, students will continue to look at who they are by exploring the essential question “Where have I been?” The variety of rich and engaging texts this year will challenge students to consider how the past, both personal and historical, has shaped their identity. As Jim Burke states in What’s the Big Idea? Question-Driven Units to Motivate Reading, Writing, and Thinking, “Instruction organized around ‘essential questions’ allows students to better understand the big ideas in a course; that is, the ideas they would explore and grapple with through discussions, written responses, and ongoing investigations and research—all of which might culminate in a paper, a presentation or some other appropriate project or artifact.” As students work through this year, they will work toward a better understanding of who they are by analyzing a variety of texts (literary, informational, art, music, and media), as well as engaging in writing, discussion, and service-learning opportunities. The goal is to help students better understand themselves and their place in the world, and to become better citizens of their local community. Unit 1: What makes us the same and different? Unit 2: What does it take to survive? Unit 3: How does the past influence who I am? Unit 4: How can I make a lasting impression on others? Eleventh Grade: Essential Question—Where Am I Going? Now that students have established a sense of who they are, they need to explore where they are going next in life. As Jim Burke states in What’s the Big Idea? Question-Driven Units to Motivate Reading, Writing, and Thinking, “Instruction organized around ‘essential questions’ allows students to better understand the big ideas in a course; that is, the ideas they would explore and grapple with through discussions, written responses, and ongoing investigations and research—all of which might culminate in a paper, a presentation or some other appropriate project or artifact.” As students work through this year, they will work toward a better understanding of their future possibilities by analyzing a variety of texts (literary, informational, art, music, and media) as well as engaging in writing, discussion, and service-learning opportunities. The goal is to help students consider their futures and how they will participate as citizens of the world. Unit 1: Do we find or create our true selves? Unit 2: What do I want out of life? Unit 3: Do people get what they deserve? Unit 4: How will today affect tomorrow? Twelfth Grade: Essential Question—What Does the World Expect of Me? In this year of study, students will explore their options beyond high school and what will be expected of them. They will use both whole class and independent reading selections to develop and explore their own questions about the future. As Jim Burke states in What’s the Big Idea? Question-Driven Units to Motivate Reading, Writing, and Thinking, “Instruction organized around ‘essential questions’ allows students to better understand the big ideas in a course; that is, the ideas they would explore and grapple with through discussions, written responses, and ongoing investigations and research—all of which might culminate in a paper, a presentation or some other appropriate project or artifact.” As students work through this year, independent readings should be thoughtfully selected to help develop their own question for research. They will work toward answering self-generated questions by reading and analyzing a variety of texts (literary, informational, art, music, and media) as well as engaging in writing, discussion, and service-learning opportunities. The goal is to help students consider the expectations of others and make decisions about their own futures as global citizens. 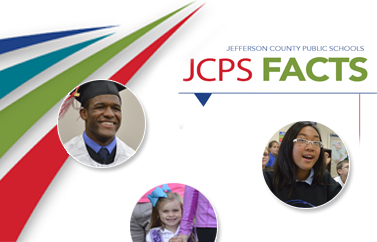 The JCPS Kentucky Core Academic Standards Curriculum Maps are designed to focus on the standards throughout integrated units of study. The ultimate goal of these standards is for teachers to spend more time going deeper with complex texts, rather than cover more texts that are less complex. When considering how to implement these units of study, teachers will want to spend more time upfront in choosing appropriate texts and activities that will allow them to teach the standards at a level that will further student learning. Teachers will want to focus on teaching students how to evaluate the author’s purpose and message and how to understand the rhetorical devices authors use to convey that message. Unit 1: What is worth the effort? Unit 2: When is a risk worth taking? Unit 3: Is it important to face reality? Unit 4: Whose life is it anyway?